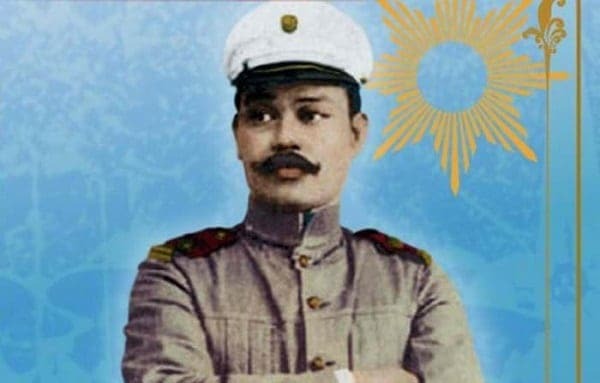 Undoubtedly one of the most admired heroes in our history, Antonio Luna will forever be remembered as the fiery general who met his ignominious end at the hands of Emilio Aguinaldo’s men. Other than his untimely demise, we should also not forget that Luna was a man who had many impressive achievements during his lifetime. In fact, reading about his life gives us the impression of a very human hero who initially refused to use his talent for the Revolution. In the end, Luna realized his mistake and dedicated himself totally to the cause of freedom and independence. Maybe that’s why Luna was so gung-ho about fighting—he was actually making up for lost time. 1. He was a scientist. 2. He was a brilliant writer. 3. He was an expert marksman and martial artist. 4. He and Rizal almost had a duel. 5. He had a badass teacher in the art of war. 6. He wanted a pre-emptive strike on the Americans. 7. He helped establish the first military academy for Filipinos. 8. He had his own elite group of soldiers. 9. He created the Luna Line. 10. He planned to build a guerrilla fortress in the Mountain Province. 11. 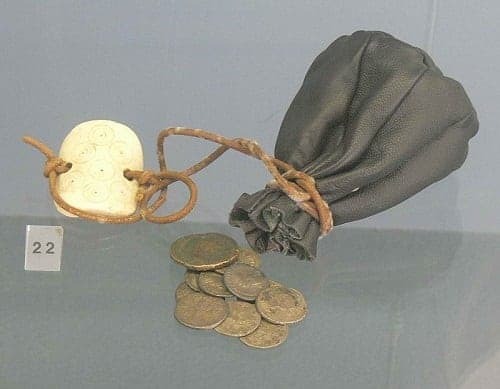 A bag of coins stopped a bullet from killing him. 12. He was frightening even in death. 13. Even the Americans admired him. Aside from his military prowess, Luna was also a very learned man. His paper on chemistry won him top prize while he was studying literature and chemistry at the University of Sto. Tomas. After moving to Spain, he earned his license and a doctorate in pharmacy at the Universidad de Barcelona and Universidad Central de Madrid respectively. Moreover, Luna’s scientific paper on malaria was very well-received and he was even given a commission by the Spanish to study tropical and communicable diseases. 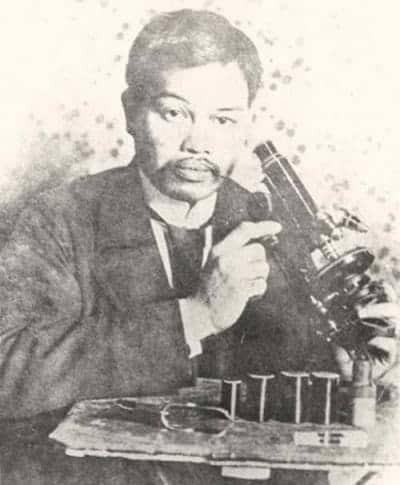 When he went back to the Philippines, he won the contest to become the chief chemist of the Municipal Laboratory of Manila. Aside from being a scientist, Luna was also an excellent writer. In fact, he wrote under the pen name Taga-ilog which he used to publish his articles in La Solidaridad while staying in Spain. One of his works, Madrid Impressions, generated controversy after it criticized the Spaniards for looking down on the Filipinos. It also nearly resulted in Luna duelling the Spanish journalist Celso Mir Deas after the latter issued a racist-filled rebuttal against Impressions. However, Mir Deas did not accept the challenge even when Luna spat and slapped him in the face. Of course, Luna was no armchair general who barked orders in the safety of his office. He was an avid student of martial arts and military tactics, having practiced the art of arnis, fencing, and shooting since his college days. It is said that Luna was prolific with the gun and rifle that he could put out a candle in one shot. Trivia: Juan Luna killed his wife and mother-in-law. 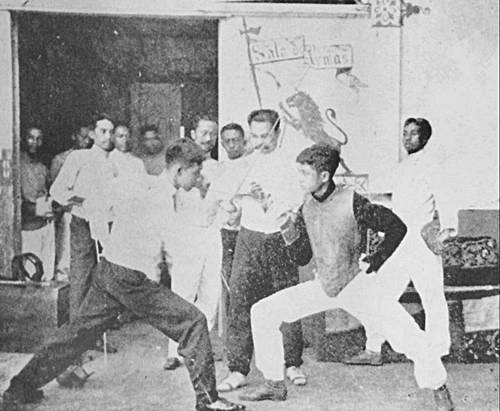 Upon his return to the country, Antonio and his brother Juan set up a fencing club called Sala de Armas which was located in Sampaloc, Manila. Incidentally, one of his students happened to be none other than Apolinario Mabini. Alas, we could only imagine what would have happened to the country if these two great patriots killed each other, and for a love triangle of all reasons. While in Spain, both men courted the half-French half-Filipina beauty Nelly Boustead, although it was soon clear that she favored Rizal. Embittered, a drunken Luna made some unsavory remarks towards her in a Filipino party where Rizal was also a guest. The two friends exchanged heated words, with one of them (it wasn’t clear who) issuing a challenge to a duel. Fortunately, cooler heads prevailed and Luna apologized to Rizal as soon as he sobered up. Belgian General Gérard Leman. Via Wikimedia Commons. Like his fellow immigrants, Luna originally favored reforms rather than revolution. Nevertheless, he and Juan were imprisoned by the Spanish but were later freed. Upon his release, Luna—repentant for rejecting an earlier offer to join the Revolution—went to Belgium and studied the art of war under General Gerard Leman. Under Leman’s tutelage, Luna soaked up guerrilla warfare, fortifications and everything else under the subject of military science before coming back to the Philippines. 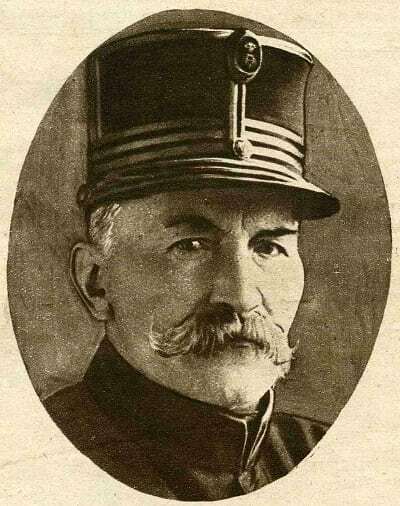 Leman himself outlived his pupil and became the first hero of World War I after his forces stubbornly resisted what would have been a swift German victory and allowed the Allies precious time to mobilize their own forces. Like Mabini, Luna correctly suspected that the Americans were not there as liberators, but as substitutes for the Spanish. He deduced that the only way to win against the Americans was to execute a pre-emptive attack on their troops before more could land in Manila. However, his plan was rejected by Aguinaldo and his associates who continued to believe in the Americans’ good intentions. This very unwise decision allowed the Americans to start and dictate the war on their own terms. A precursor to today’s Philippine Military Academy, the Academia Militar was Luna’s brainchild. 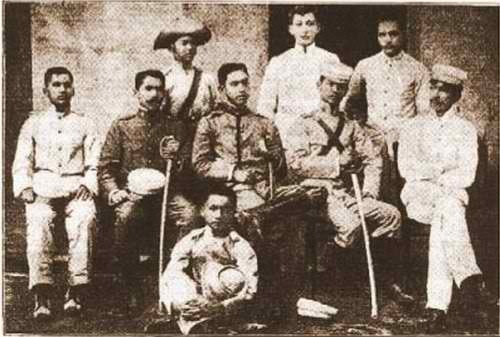 Due to his desire to build a professional army, he gained permission from Aguinaldo to set up a military academy in Malolos. 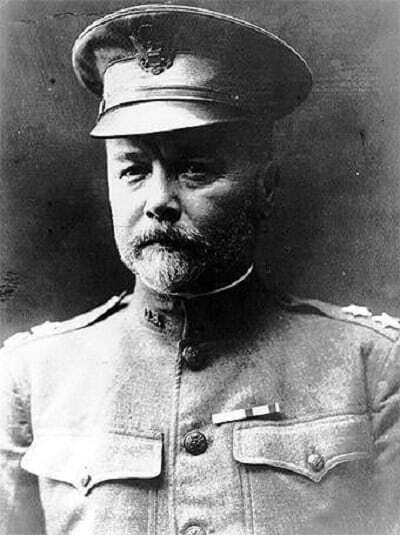 He recruited veteran officers of the Filipino-Spanish War as instructors and instilled a strong sense of discipline among the recruits which also included soldiers from the same war. He wanted the men to discard their clan loyalties and look beyond their regional ties. During this time, he also stockpiled arms and weapons and improved the logistics of the Filipino forces. 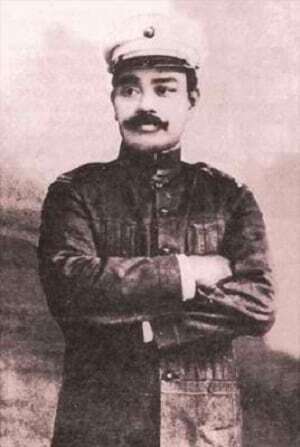 Although Antonio Luna wanted to turn the Philippine Army—at the time composed mostly of untrained volunteers—into a real professional fighting force, the outbreak of the Philippine-American War prevented him from training everyone. Instead, he took to instructing a small group of soldiers into becoming his own personal professional sharpshooters. Known as the ‘Luna Sharpshooters,’ this group of deadly marksmen achieved a reputation for fighting fiercer than the rest of their compatriots. Luna also formed similar units under his different commanders. One of them, the “Tiradores de la Muerte” (Riflemen of Death) under General Licerio Geronimo, was responsible for killing General Henry Ware Lawton, the highest-ranking American casualty of the war. 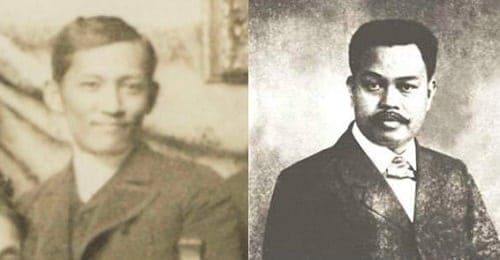 With the help of his aide, the Chief of the Army Engineers General Jose Alejandrino, Luna constructed a series of three-layered bamboo trenches which came to be known as the Luna Line. American soldiers who came upon the trenches were amazed at the constructions, which stretched for several miles from town to town. And even when they finally took the trenches, they still had to contend with the traps—which included bamboo spikes and poisonous snakes—which the wily Filipinos had carefully hidden. 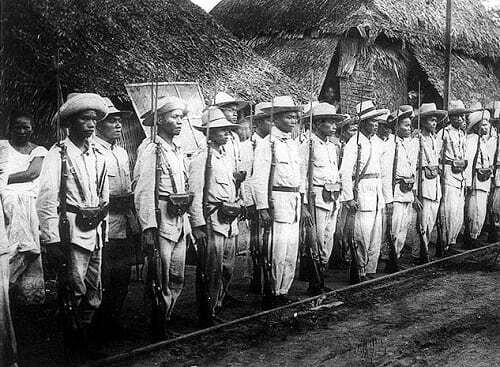 Insurgent (Filipino) soldiers in the Philippines, 1899. Via Wikimedia Commons. Of course, the defensive lines were just a precursor to Luna’s grand plan: an impenetrable guerrilla fortress in the elevated terrains of the Mountain Province. This fortress would be self-sufficient and serve as the rebels’ base of operations with which to attack Manila and other American-occupied areas. With the rebels safely protected in the mountains, Luna could wage a protracted guerrilla war which he hoped would persuade the American public to recall their soldiers. Again, this was rejected by Aguinaldo. Chief engineer Alejandrino remarked that if they had built it, then El Presidente would not have been running for his life in the mountains. One of the most fortuitous events in Luna’s life happened during the Battle of Sto. Tomas. Charging with his horse against the American lines, Luna fell to the ground when he was hit by an American bullet to the stomach. Seeing that the Americans were advancing, he prepared to kill himself with a revolver to avoid capture. Luckily, he was saved by the horse-riding Colonel Alejandro Avecilla who took him to safety. Upon reaching friendly lines, he checked his wound one more time and realized that the bag of coins he had been carrying stopped the bullet from completely penetrating his stomach. Ang pabalat ng pananaliksik ni Antonio Abad, “Ang Mahiwagang Pagkamatay ni Hen. Antonio Luna.” Mula kay Dr. Vic Torres (via It’s XiaoTime!). Luna was right to call his murderers “Assassins and cowards.” Ganging up on him, they inflicted more than 40 bullet and stab wounds on the hapless general, causing his intestines to hang out of his abdomen. Through it all, Luna fought back and tried to aim his revolver at his assailants. In defiance, he continued gritting his teeth and clenching his fist in anger even when he slumped to the ground. Before he finally died, he instinctively turned to his right side. The reflex scared his attackers—who thought that Luna might get up—that those in the front quickly stepped back, causing those behind them to fall down. If anything, the incident shows not just how cowardly his assassins were, but also how fearsome Luna was to the very end. Even though the Americans had a low regard for the Filipino rebels, their generals still held a begrudging respect for Luna. Chua, M. (2012). Mga Pinagdaanan ni Antonio Luna. [online] It’s XiaoTime!. Available at: http://goo.gl/OAXy2N [Accessed 30 Sep. 2014]. Dumindin, A. (n.d.). 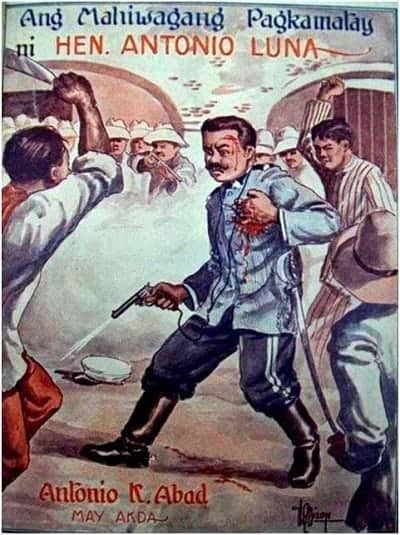 June 5, 1899: Assassination of Gen. Antonio Luna. 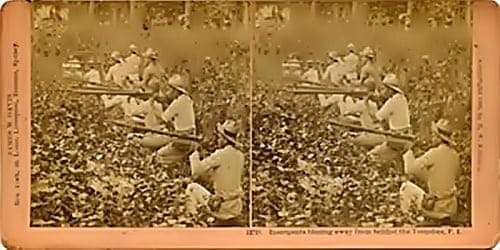 [online] Philippine-American War, 1899-1902. Available at: http://goo.gl/1bsUI7 [Accessed 30 Sep. 2014]. Jose, R. (n.d.). 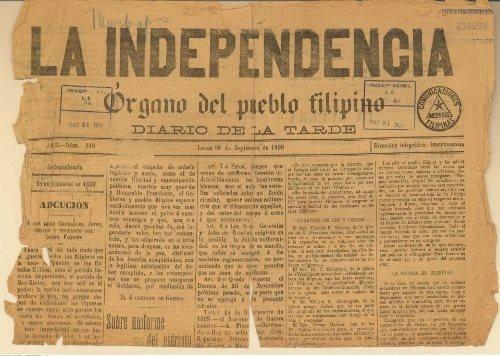 The Philippine revolutionary press, 1896-1900. 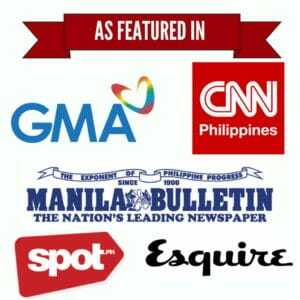 [online] Spanish Made Easy and Practical For Filipinos. Available at: http://goo.gl/lPsPjq [Accessed 30 Sep. 2014]. Nakpil, C. (2008). A plot to kill a general. [online] philSTAR.com. Available at: http://goo.gl/6unser [Accessed 30 Sep. 2014]. Severino, H. (2011). Looking for Rizal in Europe, finding a ‘little bad boy’. [online] GMA News Online. Available at: http://goo.gl/Os9yGv [Accessed 30 Sep. 2014]. Vidal, A. (2011). Shouting, slapping incident turns into grisly murder. [online] Global Balita. Available at: http://goo.gl/cCozwr [Accessed 30 Sep. 2014].